An ISO standard for preparation of tea, ISO 3103, spells out in great detail the weight of the tea, and the size and weight of the pot. In fact, it also contains detailed diagrams of the pot. This standard tells what should be done in the event that suitable local water is unavailable and even the correct moment when milk should be added to the brew. Brewing tea seems so familiar that the standard seems improbable. 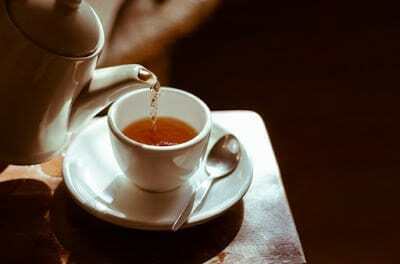 However, this standard is not for brewing tea at home, but for performing sensory tests on the tea. Meanwhile, this particular standard is also available as a British standard, which directly relates it to the Ig Nobel Prizes. The British Standard BS 6008 Method for preparation of a liquor of tea for use in sensory tests, won the Ig Nobel prize in 1999. A ceremony for Ig Nobel prize winners, held each year is co-sponsored by the Harvard-Radcliffe Society of Physics Students, the Harvard-Radcliffe Science Fiction Association, and the Harvard Computer Society. The prizes and award ceremony are organized by “the magazine Annals of Improbable Research. Actual Nobel Prize winners award Ig Nobel prizes. Get more information on the 2013 Ig Nobel Prize Ceremony and Lectures.